Finally a wire dog muzzle made for YOUR breed of dog! Please note to always use measurement to verify the size do not use pictures to judge size as one breed of dog may fit a muzzle that also fits a totally different breed of dog!! Wire basket muzzles are very comfortable. The highest quality, durability and style. Prolonged use period without discomfort, able to drink, eat, pant. All natural materials such as: chrome wire, leather, padded with felt. 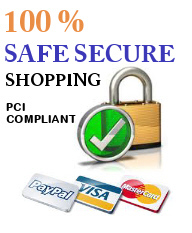 Recommended after surgery, prevent from leaking wounds, chewing, swallowing foreign objects. Fully adjustable strap with one buckle for quick and easy wear / release also double safety wire at the nose to prevent from accidental injury. Length -- measure your dog from the eyes to the tip of his nose. Small dogs add a 1/4" to 1/2"
Large dogs add a 1/2" to 1"
St Bernard, Newfounland and other dogs with a broad snout Recommended for Dogs (34 kg to 43kg ). 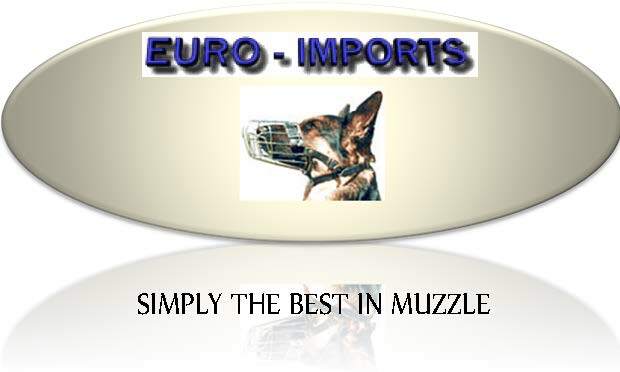 This muzzle is a top quality product, unlike anything available in the US and Canada. This muzzle is designed for Dobermans or Collies and dogs with similar snout. Muzzle for Rottweiler, doberman or similar snout size. The most effective way of measuring a dog for a muzzle is to check both the length and circumference of its snout. Fully padded wire cage Rottweiler muzzle. Perfect for training or walking in the park. The leather strap is very durable that is not so easy to ripped apart. Muzzle for Rottweiler or similar size Dog.